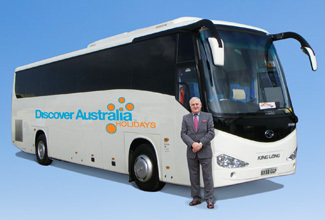 Coach Tour with Hotel Pick Ups, Torrens River Cruise, Tea, Haigh's Chocolates, Overnight Accommodation. Choose from either an early morning pick up or afternoon pick up and tour to Cape Jervis to meet your cruise to Kangaroo Island. Enjoy the 45 minute cruise to Kangaroo Island while taking in views of the St Vincent Gulf on one side and Long Bay on the other. On arrival on Kangaroo Island, get transferred to your Kangaroo Island hotel. This morning get picked up from your hotel for your full day tour of Kangaroo Island. Visit Seal Bay home to the largest colony of Australian sea lions in Australia and enjoy a guided walk along the beach to view these beautiful creatures. Enjoy a tour of Emu Ridge Distillery, South Australia’s only eucalyptus oil distillery with oil that is distilled from the endemic Kangaroo Island narrow leaf mallee. Luxury Coach Tour with Hotel Pick Up, Emu Ridge Distillery Tour, Special Lunch, Seal Bay Guided Walk, Raptor Domain, Kangaroo Island Wildlife Park, Overnight Kangaroo Island Accommodation. This morning you will be picked up from your Kangaroo Island hotel for your full day to tour to Flinders Chase National Park and the Hanson Bay Wildlife Sanctuary. Later, tour back to your Kangaroo Island accommodation for the night. Luxury Coach Tour with Hotel Pick Up, Honey Farm Tour, Honey Tastings, Special Lunch, Hanson Bay Wildlife Sanctuary Tour, Flinders Chase National Park Tour, Overnight Kangaroo Island Accommodation. 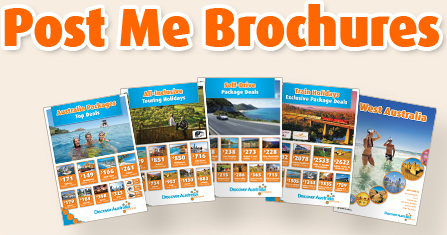 Enjoy an early morning pick up from your Kangaroo Island hotel and get transferred to your cruise back to Cape Jervis. On arrival in Cape Jervis you will be transferred to your Adelaide hotel. Feel the youthful vibrancy of this modern forward-looking city as you arrive into Brisbane. You will be personally met at the train station by a DISCOVER AUSTRALIA representative and transferred to the airport for your flight home. Meet and Greet Personalised Arrival Transfer, 2 Breakfasts, 2 Lunches, 2 Dinners, Gold Service Cabin on the Great Southern, Off Train Experience The Grampians, Luxury Canberra Coach Tour, Brunch in Northern NSW Coast, Meet and Greet Personalised Rail Transfer. You will be personally met by a DISCOVER AUSTRALIA representative and transferred from the Adelaide airport to your hotel, from your hotel to the railway station and from the railway station on arrival in Brisbane to the airport to meet your flight home. 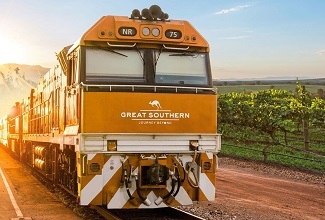 The Great Southern Train with Kangaroo Island Remarkable Touring is very popular. Many dates book out well in advance, please book soon.